Born: 19th January 1896, Stoke, Ipswich. Enlistment: Location: Ipswich; Date: 1914. 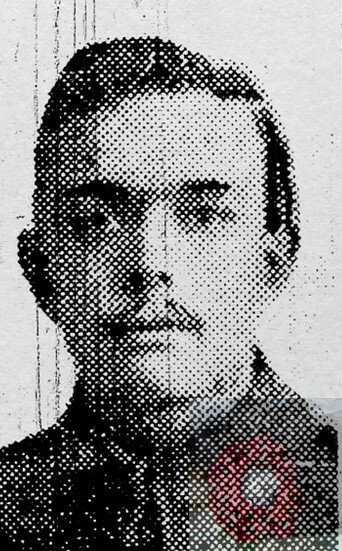 Percy was invalided home in October, 1915, suffering from trench fever and shattered nerves. He went out again in January 1916. Regiment: Suffolk Regiment, ‘C’ Coy, 4th Battalion. Relatives Notified & Address: Son of Nathan & Elizabeth Brown, of 81, Sirdar Road, Ipswich. 1901 72, New Cut West, Ipswich. Nathan Brown, 38, an Iron Moulder, born Aldringham, Suffolk. Elizabeth Brown (nee Farrow), 34, born Ipswich. Ernest Nathan Brown, 12, born Ipswich. Charles Alexander Brown, 10, born Ipswich. William Brown, 7, born Ipswich. Lily Cara K. Brown, 5, born Ipswich. Grace Doris Brown, 3, born Ipswich. Bertie Redvers Brown, 1, born Ipswich. 1911 81, Sirdar Road, Ipswich. Percy was 15 years old, a Butcher’s – Errand Boy. He was living with his parents, twin sister & brothers. Nathan, 47, a Moulder – Iron Foundry. 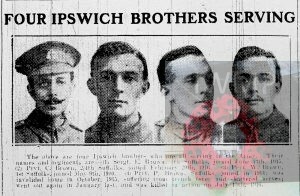 The above are four Ipswich brothers who are all serving in the Army. Their names and regiments are:- (1) Sergt. E. Brown. 4th Suffolks, joined 13th June 1915. (2) Prvt. C. Brown. 2/4th Suffolks, joined 29th February 1916. (3) Prvt. W. Brown. 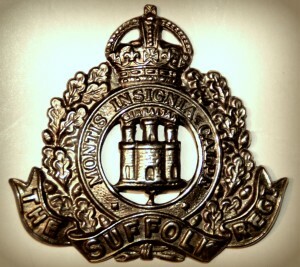 1st Suffolks, joined 9th May 1900. (4) Prvt. P. Brown. Suffolks, joined in 1914: was invalided home in October 1915, suffering from trench fever and shattered nerves; went out again in January last, and was killed in action on 15th July 1916.